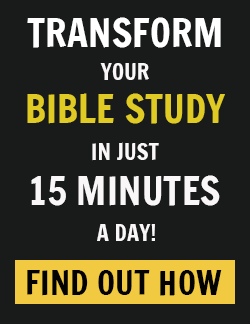 Welcome to week two of the Taste and See Online Bible Study with Margaret Feinberg! I’m so curious to hear what food-and-God adventure you went on last week! Were you more intentional about inviting Christ into your table time? Did you try a new recipe or make a dinner for neighbors or a sick friend from work? Did you donate to a food bank or church resource center? That’s what my family did and it was such a blessing! Does your family have a regular meal time together? My kids and I eat dinner together around the table at least five nights a week. I know that’s not feasible for everyone, but it works for our life and calendars since it’s right after my younger kids’ homework time and just before my eldest goes off to grad school classes. It’s a great time for us to download the day, share our highs and lows, and slow down in the middle of our fast-paced schedules. That is one of the things I’ve been intentionally dwelling on this week — slowing down to savor and digest all the goodness of God, especially with my family around the table. Like the royal pomegranate we’ll study this week, life is messy and complicated, but filled with sweetness. I love that we’re studying fruits and fruitfulness in the Bible this week! (And, I can’t wait to try frozen dates with peanut butter.) Bonus: This week Margaret is making Brussels sprouts! As I mentioned before, Brussels are my favorite veg! It’s past fig season here (usually mid-May through mid-December here in California), but I’m going to roast a batch and I look forward to making them with figs come May with the recipe in our study guide! 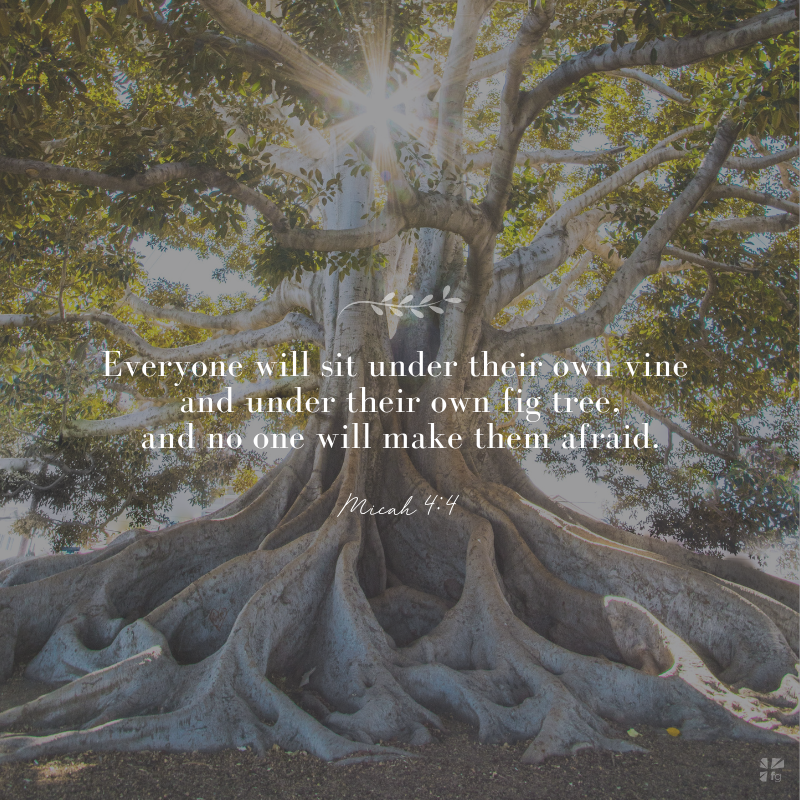 This week, we’re getting figgy… and learning to be like the fig tree. Continually fruitful with harvest after harvest after harvest… I so want that for my life! Yes, I want to experience the sweetness, but I also want there to be a harvest from my relationship with Jesus and others. And another. And another! Watch the video for Week 2 – either on DVD or on Study Gateway and take notes in the Taste and See Study Guide on pages 37-43. Enjoy your personal study this week on pages 44-54. Join the Conversations taking place daily in our Facebook community! 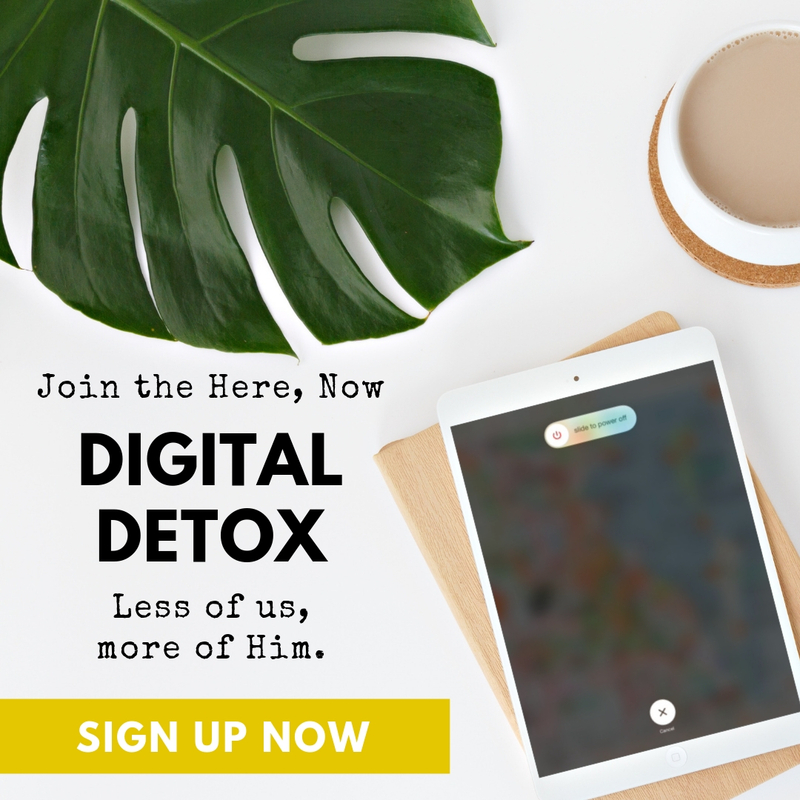 We’re talking over there about everything: the video teaching, Scripture readings, recipe of the week, tasty experiences of the week, and more! Jesus, help us to see Your provision, Your protection, and to know Your presence. We want to be fruitful. We want to learn from the fig tree and produce fruit in our lives over and over again. Help us to be satisfied by You and to taste and see that You are good in every season of life…We love You. Amen. Choose one (or more) of the following activities to grow more intentional in your relationships with one another and with God this week. Pick up some unusual fruits from the grocery store as suggested in the group session’s opening activity and share them with your family. Talk about the unique flavors and the goodness of God in creating each one. Paint or draw a picture of the fruitful life you want God to give you. Use your creativity to create a beautiful visual prayer to God. Research the term “food deserts” and “food insecurity” to better understand these needs the United States, and consider ways you can help. Make jam, jelly, or dehydrate various fruits and give them away as gifts.